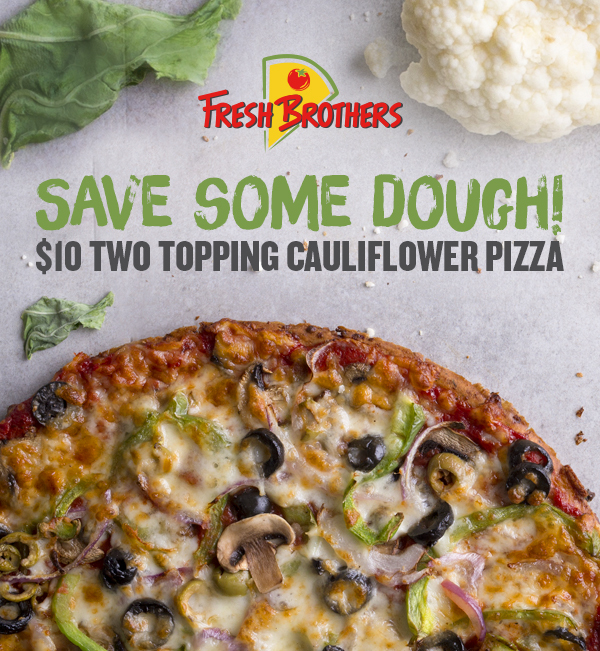 Save Some Dough and Get a Two Topping Cauliflower Pizza for $10! Take the edge off Tax Day with a two day, two topping discount! Get a Medium Cauliflower Crust with Two Toppings for only $10 on April 15th & 16th. As for the toppings, it’s your Caul!